Clare County Council has issued a flood and storm warning in advance of the severe weather conditions expected over the next 48 hours. SOME 60,000 TO 80,000 ESB customers will remain without power overnight, following damage to the electricity network in the storm yesterday. Since last night, crews have restored power to over 145,000 customers. However 115,000 are currently without power after what has been described by the company as “one of the worst storms to hit Ireland since records began”. 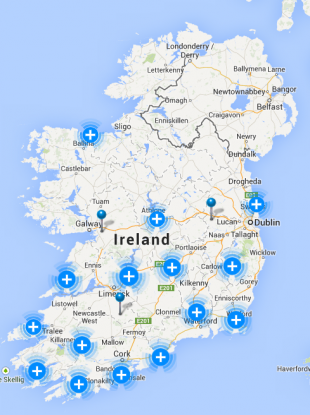 At one stage yesterday, a quarter of a million people were without power. Crews from Northern Ireland Electricity and ESB contractors supported crews to repair the damage. In Cork and Kerry alone, there are over 3,200 individual faults to get to and Cambridge said crews are “working against the clock before the next of the bad weather sets in”. Public hazards and repairs to the transmission network have been prioritised throughout today and significant progress has been made. All of the key transmission stations and circuits are now operating as usual. The company said that availability of materials and daylight hours are constraining factors. Approximately 1,000 wooden poles are needed along with over 250km of conductors and 400 transformers. Nationally, there are approximately 2,000 locations where timber has to be cleared from lines. Customers are being asked to report any safety concerns relating to the network to the ESB Networks emergency line at 1850372999. Earlier today, Minister Phil Hogan said additional funding will be made available to repair damage done by the recent weather. However, there is more on the way, with Met Éireann forecasting heavy rain and galeforce winds tomorrow with sleet or snow in parts of Connacht, Ulster and north Leinster. In Clare, a flood and storm warning has been issued in advance of the severe weather conditions expected over the next 48 hours. The county council said that given the high tides, projected high rainfall and strong gale to storm force winds there is significant risk of river, coastal and tidal flooding. The council has also warned of potential travel disruption on the county’s roads as a result of trees falling that have already been already compromised by yesterday’s storm. A tankering arrangement in areas currently affected by water shortages in the county is being implemented. Supplies to Shannon Town and Newmarket on Fergus will be restricted from 7pm this evening until 8am tomorrow to allow reservoir levels to be recharged following the restoration of the electricity supply. In Limerick, a boil water notice was issued earlier today as power outages affected water pumping stations. Email “Crews 'working against the clock' but 80,000 to remain without power overnight”. Feedback on “Crews 'working against the clock' but 80,000 to remain without power overnight”.